WASHINGTON — Ana Montes has been locked up for a decade with some of the most frightening women in America. Once a highly decorated U.S. intelligence analyst with a two-bedroom co-op in Washington, Montes today lives in a two-bunk cell in the highest-security women’s prison in the nation. Her neighbors have included a former homemaker who strangled a pregnant woman to get her baby, a longtime nurse who killed four patients with massive injections of adrenaline, and Lynette “Squeaky” Fromme, the Charles Manson groupie who tried to assassinate President Ford. But hard time in the Lizzie Borden ward of a Texas prison hasn’t softened the former Defense Department wunderkind. 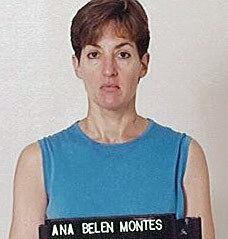 Like Aldrich Ames and Robert Hanssen before her, Ana Montes blindsided the intelligence community with brazen acts of treason. By day, she was a buttoned-down GS-14 in a Defense Intelligence Agency cubicle. By night, she was on the clock for Fidel Castro, listening to coded messages over shortwave radio, passing encrypted files to handlers in crowded restaurants and slipping undetected into Cuba wearing a wig and clutching a phony passport. But Montes, now 56, did not deceive just her nation and her colleagues. She also betrayed her brother Tito, an FBI Special Agent; her former boyfriend Roger Corneretto, a Cuban-intelligence officer for the Pentagon; and her sister, Lucy, a 28-year veteran of the FBI who has won awards for helping to unmask Cuban spies. But the bubblegum sentimentality masked a growing emotional distance, grandiose feelings of superiority and a troubling family secret. Ana was 15 when her parents separated, but the damage had been done. Her “arrested psychological development” and the abuse she suffered at the hands of a temperamental man she associated with the U.S. military “increased her vulnerability to recruitment by a foreign intelligence service,” adds the 10-page report. Ana Montes was a junior at the University of Virginia when she met a handsome student during a study-abroad program in Spain. He was from Argentina and a leftist, friends recall, and helped open Montes’ eyes to the U.S. government’s support of authoritarian regimes. Spain had become a hotbed of political radicalism, and the frequent anti-American protests offered a welcome diversion from schoolwork. While holding down her day job, Montes began pursuing a master’s degree at the School of Advanced International Studies at Johns Hopkins University. Her political views hardened. Montes developed a hatred for the Reagan administration’s policies in Latin America and especially for U.S. support of the contras, the rebels fighting the communist Sandinista government in Nicaragua. Montes was now a budding Washington bureaucrat and a full-time student at one of the country’s premier universities. But she was about to take on another demanding assignment: spy in training. In 1984, the Cuban intelligence service recruited her as a full-blown agent. Sources close to the case think that a friend at SAIS served as a facilitator for the Cubans, helping to identify potential spies. Montes must have seemed a godsend. She was a leftist with a soft spot for bullied nations. She was bilingual and had dazzled her DOJ supervisors with her ambition and smarts. CIA analysts interpret the recruitment a bit more darkly. Montes was manipulated into believing that Cuba desperately needed her help, “empowering her and stroking her narcissism,” the CIA wrote. The Cubans started slowly, asking for translations and bits of harmless intel that might assist the Sandinistas, her pet cause. “Her handlers, with her unwitting assistance, assessed her vulnerabilities and exploited her psychological needs, ideology, and personality pathology to recruit her and keep her motivated to work for Havana,” the CIA concluded. In an early mistake, Montes had confided to her old friend from Spain, Ana Coln, that she had visited Cuba and had had a fling with the cute guy who toured her around the island. Montes also revealed that she was about to take a DIA job. Montes said she wanted to be part of the political action and was “an American girl, after all.” But days after the confession, Montes cut her girlfriend off. Coln called and wrote letter after letter for 2 1/2 years, to no avail. Montes wouldn’t engage. Coln never heard from Montes again. Back in Miami, Lucy Montes also was puzzled by her sister’s decision to work for the Defense Department. But she loved her sister and was so eager to make a connection that she didn’t press the point. Ana had become more introverted and rigid in her views since joining DIA. “She would talk to me less and less about things that were going on with her,” Lucy said. Ironically, Ana now had much in common with her siblings. Although Juan Carlos, the baby of the family, had become a deli owner in Miami, Lucy and her other brother, Alberto “Tito” Montes, had chosen careers helping to protect the United States. Tito had become an FBI Special Agent in Atlanta, where he still works, and his wife was an FBI agent. Lucy had become an FBI Spanish-language analyst in Miami, a job she still holds, frequently working on cases involving Cubans. Her husband at the time worked for the FBI, too. For the next 16 years, Ana Montes excelled — in both Washington and Havana. Hired by the DIA as an entry-level research specialist, she was promoted again and again. Montes quickly became DIA’s principal analyst for El Salvador and Nicaragua, and later was named the DIA’s top political and military analyst for Cuba. In the intelligence community and at DIA headquarters, Montes became known as “the Queen of Cuba.” Not only was she one of the U.S. government’s shrewdest interpreters of Cuban military affairs — hardly surprising, given her inside knowledge — but she also proved adept at shaping (and often softening) U.S. policy toward the island nation. Over her meteoric career, Montes received cash bonuses and 10 special recognitions for her work, including a certificate of distinction that George Tenet, then the CIA director, presented her in 1997. The Cubans also awarded their star student with a medal, a private token of appreciation that Montes could never take home. She became a model of efficiency, a warrior monk embedded deep within the bureaucracy. 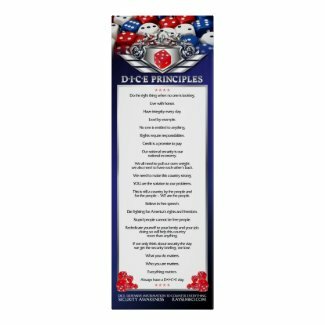 From cubicle C6-146A at DIA headquarters at Joint Base Anacostia-Bolling in Washington, she gained access to hundreds of thousands of classified documents, typically taking lunch at her desk absorbed in quiet memorization of page after page of the latest briefings. Colleagues recall that she could be playful and charming, especially with bosses or when trying to talk her way into a classified briefing. But she also could be arrogant and declined most social invitations. Montes got most of her orders the same way spies have since the Cold War: through numeric messages transmitted anonymously over shortwave radio. She would tune a Sony radio to AM frequency 7887 kHz,then wait for the “numbers station” broadcast to begin. A female voice would cut through the otherworldly static, declaring, “Atencin! Atencin!” then spew out 150 numbers into the night. “Tres-cero-uno-cero-siete, dos-cuatro-seis-dos-cuatro,” the voice would drone. Montes would key the digits into her computer, and a Cuban-installed decryption program would convert the numbers into Spanish-language text. Montes even traveled to Cuba four times for sessions with Cuba’s top intelligence officers. Twice, she used a phony Cuban passport and disguised herself in a wig, hop-scotching first to Europe to cover her tracks. Two other times she got Pentagon approval to visit Cuba on U.S. fact-finding missions. She would meet at the U.S. Interests Section in Havana during the day but slip away to brief her Cuban superiors. Back in the States, when Montes needed to convey an urgent message, she reached for a pager. Montes would seek out pay phones at the National Zoo, a Metro station or by an old department store to call pager numbers controlled by the Cubans. Spying was lonely. Montes could confide only in her handlers. Family gatherings and holidays with her two FBI siblings and their FBI-employed spouses became tense affairs. At the beginning, the Cubans provided enough of a social life. “They were emotionally supportive. They understood my loneliness,” Montes told investigators. But as she turned 40, Montes became despondent. “I was finally ready to share my life with someone but was leading a double life, so I did not feel I could live happily,” she revealed. The Cubans set her up with a lover, but after a couple of days of fun, she realized she would not find happiness with a “mail order” groom. Ana’s alienation only grew when, by strange coincidence, Lucy began working on the biggest case of her career: a massive crackdown on Cuban spies operating in the United States. It was 1998, and the Miami field office had uncovered a Cuban spy ring based in Florida, the so-called Wasp Network. More than a dozen members strong, the Wasp Network was infiltrating Cuban exile organizations and making inroads into U.S. military sites in Florida upon its capture. For Lucy, the Wasp case marked the crowning achievement of her career. The FBI had called on her to translate hours of wiretapped conversations of Cuban spies who were trying to penetrate the U.S. Southern Command base in Doral, Fla. Lucy earned praise from the FBI brass and an award from a local Latin chamber of commerce. But she never shared the news with Ana. Although Ana was one of the preeminent Cuba experts in the world and should have been ecstatic that her sister had helped expose a Cuban spy ring, Lucy was convinced Ana would just change the subject. “I knew she would have no interest in hearing about it or talking about it,” Lucy said. But Lucy’s triumph became Ana’s despair. Ana’s handlers suddenly went dark. They refused to contact her for months as they assessed the fallout from the investigation. “Something that gave me fulfillment disappeared,” she later told investigators. Ana bottomed out. She experienced crying spells, panic attacks and insomnia. She sought psychiatric treatment and started taking antidepressants. CIA-led psychologists would later conclude that the isolation, lies and fear of capture had triggered borderline obsessive-compulsive traits. Montes began showering for long stretches with different soaps and wearing gloves when she drove her car. She strictly controlled her diet, at times eating only unseasoned boiled potatoes. At a birthday party at Lucy’s home in 1998, Ana sat stone-faced and barely spoke. “Some of my friends thought she was very rude, that there was something seriously odd with her. And there was. She was cut off from her handler,” Lucy said. Inside the DIA, the star analyst remained above suspicion. Montes had succeeded beyond the Cubans’ wildest dreams. And she was about to earn yet another promotion, this time a prestigious fellowship with the National Intelligence Council. An advisory body to the director of central intelligence, the NIC was then at CIA headquarters. Montes was about to gain access to even more treasured information. Her spy career would have reached unfathomable heights had it not been for a back-bench DIA employee named Scott Carmichael. In September 2000, Carmichael got a hot lead. 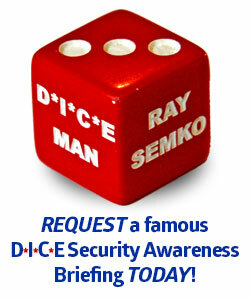 Veteran DIA counterintelligence analyst Chris Simmons had been approached by a female intelligence officer. She had risked her career to inform Simmons that the FBI had spent two years fruitlessly trying to identify a U.S. government employee who appeared to be spying for the Cubans. It was an “UNSUB” case, meaning a search for an unidentified subject. The FBI knew that the UNSUB had high-level access to U.S. intelligence on Cuba, had purchased a Toshiba laptop to communicate with Havana and a few other tidbits. But with so few details, the FBI investigation had stalled. Carmichael got to work. He and his colleague Karl “Gator” James began inputting some of the FBI’s closely held clues into their employee databases. DIA workers surrender many of their privacy rights when applying for security clearances, and Carmichael had access to reams of personal financial records, medical histories and detailed travel itineraries. The computer search produced more than 100 possible employee matches. After scanning through about 20 subjects, the name “Ana Belen Montes” popped onto Carmichael’s screen. Carmichael conceded there were holes in his theory and reminded himself that Montes was a stellar employee. He also knew that few women have been prosecuted for espionage in America since the Cold War. Once the FBI was fully engaged, it assigned more than 50 people to work the investigation and won permission from a skeptical Foreign Intelligence Surveillance Court judge to conduct surreptitious searches of Montes’ apartment, car and office. FBI operatives tailed Montes and filmed her making suspicious calls on pay phones. Lapp used a national security letter, a form of administrative subpoena, to gain unfettered access to Montes’ credit records. Still, no one had witnessed Montes meeting a Cuban, typing coded messages at work or stuffing anything classified into her pocketbook. For Lapp, then, there was a lot riding on the first sneak-and-peek of Montes’ apartment. He needed concrete proof that Montes was a spy. Yet he couldn’t risk tipping her off with a messy search. Adding urgency was Montes’ pending promotion to the CIA advisory council. Carmichael needed to quietly stall the assignment. With help from Vice Adm. Thomas Wilson, then the DIA director, they concocted a simple ruse. At the next big staff meeting, someone would casually mention that a large number of DIA employees were on loan to outside agencies, a common practice. Wilson would explode and announce a total freeze on external assignments. The theatrics worked. Montes never knew that the agency-wide moratorium was designed just for her. Dozens of supervisors at other Washington agencies had called Wilson to complain, but the bogus temper tantrum kept Montes out of the CIA. Corneretto is married now and still works for the Pentagon. He reluctantly agreed to discuss his ill-fated office romance. Despite her boyfriend’s obvious intel potential, investigators believe that Montes’ affections were real. She fantasized about starting a family and ditching her espionage career. But her handlers refused to let their top producer quit. “I’m a human being with needs that I couldn’t deny. I thought the Cubans would understand,” she later revealed to her debriefers. But spy agencies don’t work that way. “She naively believed that they would thank her for her assistance and allow her to stop spying for them,” the CIA commented in its analysis. The documents, which Montes had tried to delete, included instructions on how to translate numbers-station broadcasts and other Spy 101 tips. Without any eyes-on evidence of a dead drop of classified documents, though, the FBI worried that Montes would be able to plea-bargain her way out of trouble. But they were out of time. Hijacked planes had just slammed into the Pentagon and the World Trade Center, and overnight the DIA was on a war footing. Montes was named an acting division chief, based on her seniority. Making matters worse, DIA supervisors who were ignorant of the investigation had selected Montes as a team leader to process target lists for Afghanistan. Wilson, the DIA director, had demanded strict operational security regarding Montes. But now he wanted her out of the way. Cuba had a long history of selling secrets to America’s enemies. If Montes obtained the Pentagon’s war plan for Afghanistan, DIA officials worried, the Cubans would eagerly pass the information to the Taliban. Moments later, Montes appeared in the inspector general’s office and was ushered into a conference room, where McCoy and Lapp were waiting for her. McCoy played good cop, suggesting vaguely that a technical source or an informant had led them to her. Montes went pale and stared ahead, blankly. McCoy soft-pedaled her culpability, hoping she might try to offer innocent rationales for unauthorized contacts with Cuban officials. But when Montes asked if she was under investigation and requested a lawyer, the charade ended. “I’m sorry to tell you, but you are under arrest for conspiracy to commit espionage,” McCoy announced. Lapp slapped on the handcuffs, and they escorted Montes out of the DIA for the last time. But in late 2010, Ana went too far. From her Texas prison cell, she wrote an angry letter suggesting that Lucy should see a psychologist to deal with her latent rage. The hypocrisy was too much. U.S. military and intelligence agencies spent years assessing the fallout from Montes’ crimes. Strict prison rules bar Montes from talking to the media and all but a few friends and relatives. But in her private correspondence, she refuses to apologize.